The IMF has a big plan: A multi-billion rainy day fund is meant to strengthen the euro. According to the proposal, Germany alone is supposed to pay €10 billion per year, for a ten-year period. EURACTIV Germany’s media partner “WirtschaftsWoche” reports. Of course, Christine Lagarde chose the place wisely. 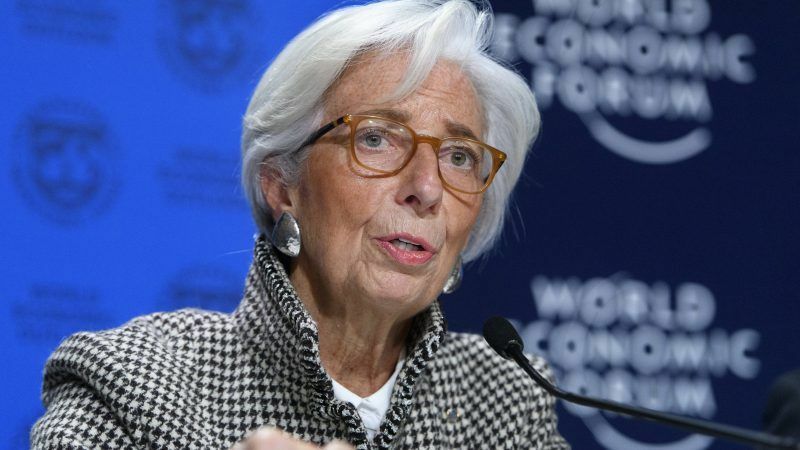 The IMF chief chose Berlin, Europe’s secret capital, to present her spectacular proposal. The Germans are allowed to feel flattered – but that will hardly matter as the proposal from Washington could cause plenty of trouble in Berlin. In the discussion over the reform of the eurozone, the IMF has made an explosive proposal: It wants to create a rainy day fund for the eurozone. If in the future a financially weak eurozone country gets into an economic crisis, it should automatically receive billions of aid into its budget. “To prevent a painful repetition of the crisis, the eurozone needs a central fiscal capacity,” Lagarde said in Berlin. Plans for such a fund are also discussed in Europe. So far, the proposal is not new at all. What is new, however, is the volume of the pot of money that the IMF intends to create: each country is expected to contribute 0.35% of its economic output per year. For Germany that would be up to €10 billion. Within ten years, Germany would have to raise €100 billion for the pot. In addition, the new fiscal capacity in an emergency should also be allowed to absorb own debts on the financial market. All this is likely to be difficult to convey in Germany, but also in other euro member states. That is clear to the IMF boss, of course. She wants under all circumstances to prevent the impression that the pot could lead to a European transfer union. The countries would have to take on “self-responsibility” in the future, she said in her speech in Berlin, where she intentionally spoke in German. In addition, the pot is intended to provide clear mechanisms to prevent countries from resting in the hammock and allowing others to pay for them. With its new rainy day pot, the IMF wants to prevent a repetition of the downward spiral we saw between 2010 and 2012, when Greece, Ireland, Portugal, Spain and Cyprus, one by one, were driven to the brink of bankruptcy. In the future, such a serious crisis should not happen at all, IMF experts explained. The IMF, therefore, proposes to send money from the pot to countries with high unemployment. If the unemployment rate in one year rises more than one percent over the average of the last seven years, money will be directed to the respective country. According to IMF model calculations, the depth and duration of recessions can be shortened by up to 50%. 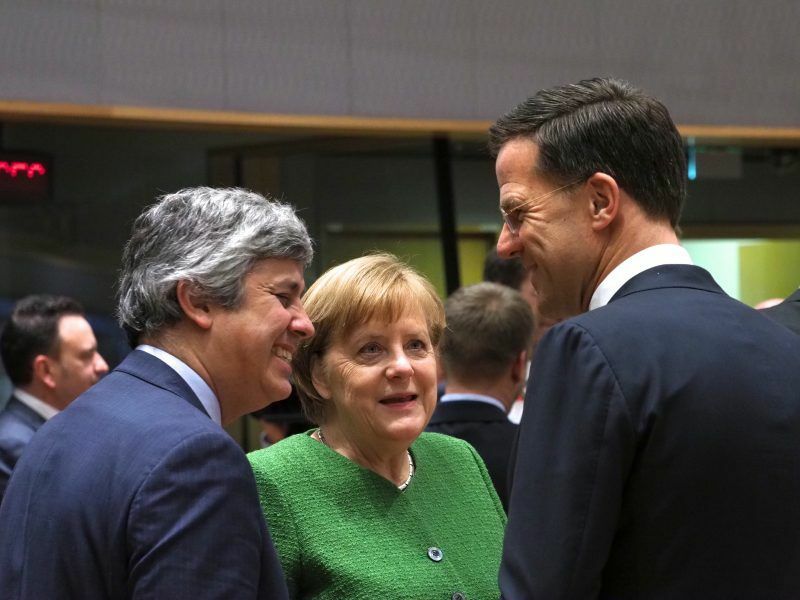 Friday’s eurozone summit ended with an agreement to finalise the banking union by June, but the future of the fiscal union remains unclear as leaders remained divided. In order for the pot not to become a hammock for highly indebted countries in good times, the IMF wants to link payments to the previous observance of debt rules, which should ideally be reformed at the same time too. The rules have become far too complex, says the IMF. Above all, a state that has received aid should pay higher contributions to the new pot after the crisis has subsided. This should avoid the emergence of a transfer union and avoid disincentives for states to allow themselves to be fed by others. The IMF economists are confident: with this, the pot would stabilise the eurozone and prevent countries from getting into payment difficulties again so quickly. And at the same time, no new transfer union would emerge. Nevertheless, the proposal is going to meet with great resistance, also because the contributions of the individual member states, which the IMF plans for, are enormous. Especially, as Europe is also still considering equipping the European Stability Mechanism (ESM) with additional funds to help states in financial difficulties. Moreover, it is difficult to create such a pot: if it were to come into force today, it would be clear that Germany would have to pay for Europe’s South, where unemployment is still high. On the other hand, the IMF believes that the current situation is just about right: “The currently good economic situation in all eurozone countries, combined with the political will to strengthen the monetary union, offers a particularly good opportunity to strengthen the eurozone,” the IMF economists say. In addition, the recipient country would change over time. By 2007, for example, Germany would have received money from such a pot, while Italy would have been a net contributor. The IMF sees its proposal as a contribution to the debate – and relies on the power of its economic arguments. 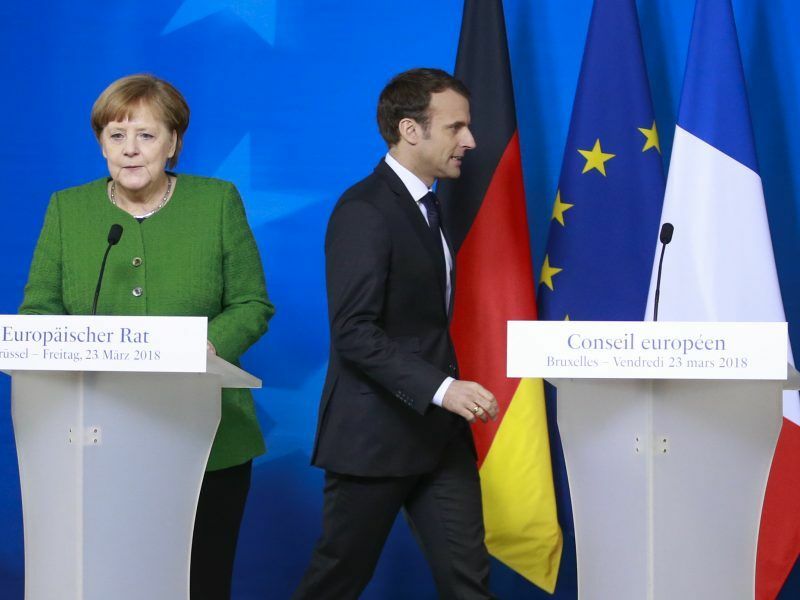 A eurozone budget, which French President Emmanuel Macron is betting on, is considered to be hardly enforceable by the IMF: too many national and EU institutions have to constantly agree on the budget. The IMF fund, on the other hand, could be decided upon with clear rules and would automatically come into play during severe recessions. Nevertheless, the proposal is unlikely to have any chance of being implemented in the ongoing debate on eurozone reform. This year, the euro member states want to reform the monetary union. The window of opportunity is favourable: within the next twelve months, no election will take place in any major EU member state. Macron is particularly trying to set the pace as he promised a reform of Europe during his election campaign. But Macron’s proposals are controversial. 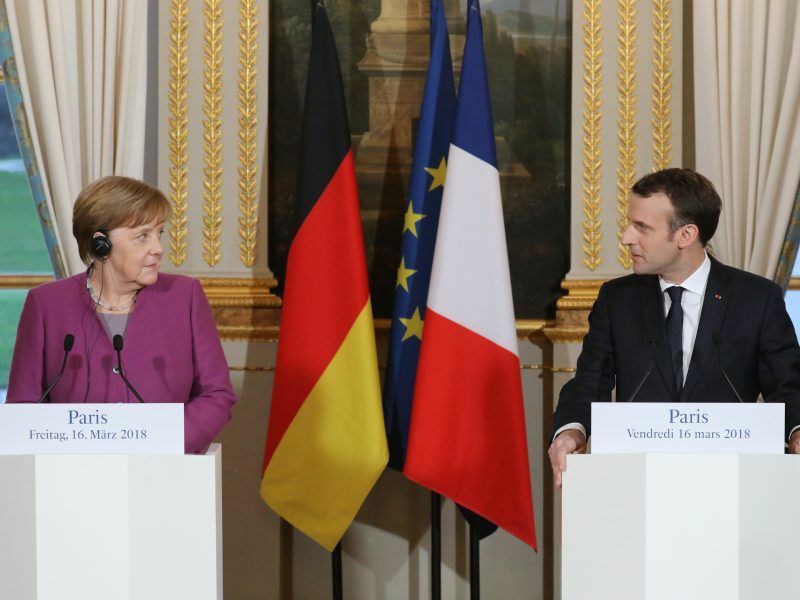 While Macron has proposed an investment budget for the eurozone, the Germans want to expand the ESM rescue package. There is also a dispute over the completion of the banking union and common European deposit insurance. The South wants more money, the North fears to become the paymaster. Whether the proposal will help in this difficult situation is questionable not only because of the large amount of money that would be needed. After all, Europeans have been quite unanimous in recent months: They want to solve crises on their own in the future – without the IMF’s help. The IMF proposals have a wide range of serious flaws. Flaw 1: the Euro is sovereign currency in the sense that the ECB (owner: Bundesbank) can print as many Euros or as few Euros as is needed by Euro-zone countries. Question: given the point above why does it need a “rainy day fund” and in what currency (Euros?) would this fund be held? If held in Euros – given the FACTS outlined in Flaw 1 why would you need a fund? Flaw 2: “To prevent a painful repetition of the crisis” – would that be some Euro banks falling on their faces crisis? Thing is – banking reforms that would stop a repetition of this – have not taken place – so what you are proposing – luv – is a sticking plaster – addressing symptoms not causes (BTW: Yannis sends all his love – he misses you toots). Flaw 3: “She wants under all circumstances to prevent the impression that the pot could lead to a European transfer union” – so not a spade but an “excavation tool” – love it – keep going toots – I’m enjoying this. “between 2010 and 2012, when Greece, Ireland, Portugal, Spain and Cyprus, one by one, were driven to the brink of bankruptcy” – I hate to tell you this – but countries and companies can’t go bankrupt – only individuals. Neither can you liquidate a country (well in fairness the US is trying to do this in Iraq and Afghanistan) – what could have happened is that they crashed out of the Euro-zone. Which, given the current situation in Greece and other locations (tell me how is youth employment in Spain?) may not have been a bad thing. meanwhile delusional thinking continues ” The currently good economic situation in all eurozone countries” – which is why the elections in Italy took the route they did? (ditto Germany & the AfD) yeah it’s all so peachy in Europe. I did like this: “The IMF sees its proposal as a contribution to the debate – and relies on the power of its economic arguments” – one supposes that the latter part of the sentence was meant ironically – very much a case of the one-eyed man is king in the country of the blind. All in all – pathetic – but that is what one would expect from the IMF and the bundesbankzone aka eurozone. you seem to be enamoured with that fraud called Yannis varoufakis. I understand that your argumentation comes from a left-wing perspective. a country with poor governance will fare poorly when facing a financial and economic crisis. all the eurozone members did was force Greece to actually comes to terms with its lack of management of public funds and poor governance of public services. you may criticize the form, but it doesn’t make sense to pretend rationality, if you refuse to look at the core of the issue (and extol the virtuous wisdom of one of its fantasist guru). if in theory, I’d agree with you that as lender of last resort and money printer in chief, the ECB could actually fund that “rainy day pot”, in practical terms this would be difficult and prone to political wrangling. which is why the address requires each member states to commit 0.35% of GDP per year for 10 years. note, that it doesn’t say it must come from the national budgets 100%. I most certainly agree that the biggest risk for financial stability in Europe is the twin relationship of poor governance (at banking and governmental bodies) and back-door reliance (banks funding government largess getting stuck with poor yields, and governments turning a blind eye to banks because of need to fund deficits). I repeat : the problem is not the leftist bugbear of “austerity”, but of efficient use of public funds and progressive management of the economy. This is where Greece fails miserably, and has been so for over 20+ years (even before euro-accession). Nope: it comes from a what works perspective. What the EU has done so far does not work – look around – why are people voting AfD in Germany? “a country with poor governance will fare poorly when facing a financial and economic crisis” – yup & squeezing it till the pips squeak won’t help the governance thingy. “and extol the virtuous wisdom of one of its fantasist guru” – Varoufakis is many things – fantasist – nah – you will find them in the IMF and ECBundesbank though. Suggestion – at least make your abuse funny – like I did with Tina – it shows a bit of class. “difficult and prone to political wrangling” what do you think is going to happen wrt the money pot idea? The politicos will piss around for a couple of years on even that. “the problem is not the leftist bugbear of “austerity”, the people in East Germany voted AdF cos they have no money or are poorly paid (ditto Italy) = austerity – but according to you – this is a “leftist thing” – they voted for neo-nazis because of a “leftist thing”????? “efficient use of public funds and progressive management of the economy” – phrases straight out of the neo-con playbook – yeah I can see where you are coming from. That said – you tend to look at this through the prism of Greek politics – whereas I’m looking at this from an EU perspective. The problem at the moment is Germany is happy with the way things are, a lump of the nation still thinks national economics are based on the corner shop (ditto the Bundebank) & you have politicos that don’t have a clue. Ace.